Iranian Foreign Minister Javad Zarif in a joint news conference with visiting Russian FM Sergei Lavrov said Iran will insist on delivery of S-300 air defense systems from Russia. Iran signed a sales contract with Russia in 2007 for delivery of five S-300 missile systems. Moscow later refrained from delivering the missiles, citing UN Security Council sanctions against Iran that went into effect after the contract was signed. Iran then sued the Russian arms exporter, Rosoboronexport, at the International Court of Arbitration in Geneva for $4 billion, claiming breach of contract . Lavrov’s visit to Tehran was partly due to finding an out-of-court settlement with Iran on S-300 issue. Fars News Agency said Tehran will not drop the case and will insist on the delivery of the missiles. The S-300 system was developed in the Soviet Union in late 1970s, designed for the air defense of large industrial and administrative facilities, military bases, and control of airspace against enemy strike aircraft. ha ha ha and ha. insisting ain't going to do a damn thing at this point. Iran has quite a few things to do to bring themselves into conformity with their own obligations before the rest of the world is going to worry about Iran getting stiffed on a weapons deal. matter of fact, the rest of the world WANTS the Russians to not deliver. Russia is afraid of the US. Russia also do cherish its own bilateral trade ties more than a weapons deal with Iran. They won't ever deliver the S-300 unless there is a lifting of the weapons embargo. Russia has more to loose on breaking the rules that prohibit weapon sales to Iran. They have paid back Iran's money, and they are pretty much willing pay additional money for the breaking of the contract. 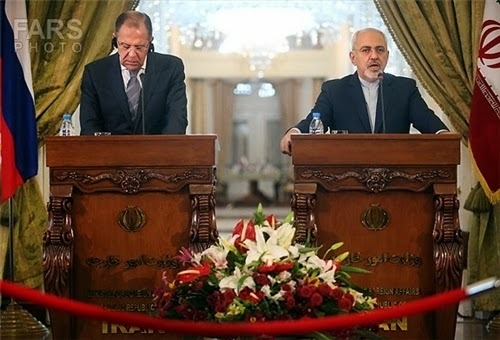 The Russian government sent Lavrov with the purpose of making an effort to sweet talk the Iranians in hopes of getting away alittle bit cheaper, offering something else as compensation, and thereby reaching a compromise. That's the least they could do. It's worth a try. Whos this "rest of the world" you are yapping about?,all I see are the west and its bootlicks,in fact the last time I looked the real international community,the nam,supported iran.I dont think the russians are laughing,going along with the west is going to cost them several billion dollars in penalties,the russians are desperately trying to find a solution to this problem and still save face,one way out is by offering iran the s300mv rather than the s300mpu,so I think its very likely we will see the systems delivered probably sooner rather than later.Time will tell but either way iran wins. One way or another, on the long run, Iran will eventually get hold of a long range air defense package in the league of the modern S-300 series either by acquiring it directly from Russia by finally settling the ongoing dispute, or by boosting finalization work on their own Bavar-373 (rumored to be a knock-off of old Belorussian samples they obtained clandestinely back in the 2000s) with funds obtained via a financial compensation. Iranian Defense Industries have indeed made great strides by shifting a significant amount of resources to that sector rather than the all-out ballistic sacrosanct that has been a founding motive of their whole military self-sufficiency program and doctrine since its very inception. The recently demonstrated Patriot PAC-2 derivative, the "Sayyad-2/Talash" apparatus, is a good illustration to that, no matter the amount of anti-Iran bashing that might come in the way of objective analysis. Jane's defense experts and other recognized reference sites have acknowledged its potential already. The complete system comprising both search and engagement radars, missiles and command centers are said to be on their way to media presentation, but in the end it all depends on IRGC's new and current policy of relative PR restraint in times they certainly wouldn't want to upset the P5+1 and specially the US too much one bit by appearing too bellicose. Imho, they would only do it in the immediate term in case the GCC makes too much bold an offensive remark right in the face of Zarif's rapprochement effort on the Abu Musa case. And so far we can say the Gulf Monarch have yet to follow suit properly on his overreaching hand. By being too cautious (or simply too stupid to understand, let's call it what it is) they might lose a good opportunity to rapidly and efficiently cool down the most contentious issues plaguing their relations with the Persian Nation, their most powerful and large neighbor right on the other side of the Persian Gulf. I don't see why no one ever mentions China when talking about the s-300 deal.. Russia having broken its contract, wouldn't the HQ-9 offer at least an equivalent if not a superior capacity in long range defense? I say superior simply because of the systems relative rarity when compared to the other. I don't believe the Chinese have closed the possibility of sales, not world-wide anyways. Has their been some sort of indication from them? In other words, Iran admits that none of their piece of crap missiles are as good as this 1970s!!! technology known as the S-300. Russia replaced the S-300 in 2004, but it's still better than anything this backwards country run by dirty thieves can produce. Iran said no such thing, hasbara shill. Iran needn't admit it. it is an obvious truth. It is an obvious, hasbara lie. donkeys who have nothing to say when confronted with truth.... call it hasbara. it's a form of ignorance and intellectual deficiency. "Intellectual deficiency" is a state hiring shills to spread propaganda for it, on the internet. "Intellectual deficiency" is making up lies and trying to pass them off as truth. "Intellectual deficiency" is resorting to personal attacks against anyone you do not see things eye to eye with.